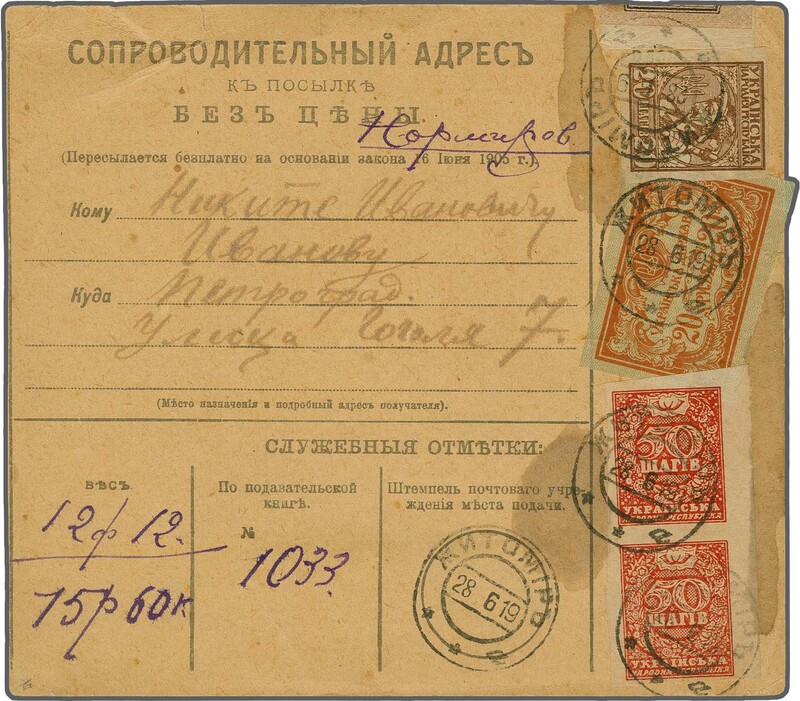 1919: Parcel Receipt Card for an uninsured package weighing over 12 pounds, from Zhitomir to Petrograd, Russia franked on front with July 1918 20 sh. brown and 50 sh. red vertical pair and Jan 1919 20 hr. vermilion on green just off edge of card, franked additionally on reverse with six Kiev II Trident opts. 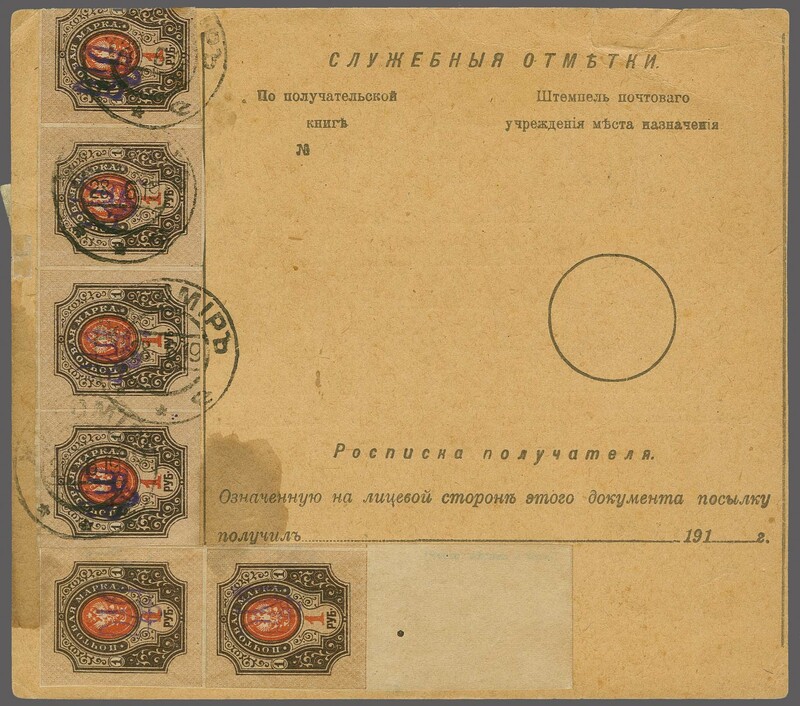 on imperforate 1 r. brown & red-orange in a vertical pair and horizontal strip of four, one folded over top of card, all tied by ZHITOMIR / 28.6.19 datestamps in black. Tiny tear at top of card away from adhesives and typical slight stain, a scarce mixed franking Bulat 7+10+275+2544.